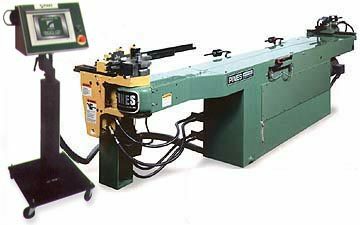 Tube and pipe benders fall into several categories but all are designed to create bends! These bends can be simple angles, circular arcs, or complex shapes like exhaust pipes. Many benders can also fit square shapes, but the standard tube and pipe bender usually accommodates circular shapes. 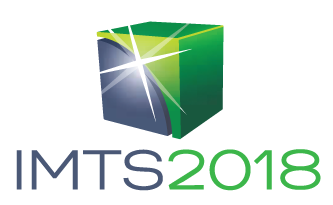 These machines can vary from simple hand-turned manual tabletop setups to huge CNC production equipment. While the end result of pipe bending is a simple one--a tube or pipe bent into the right shape--many people find that finding the right process and the right material can be a matter of skill. As such, for every type of pipe bender there will be a specific sort of application that may be included or excluded. It is important to find the right fit for your project. 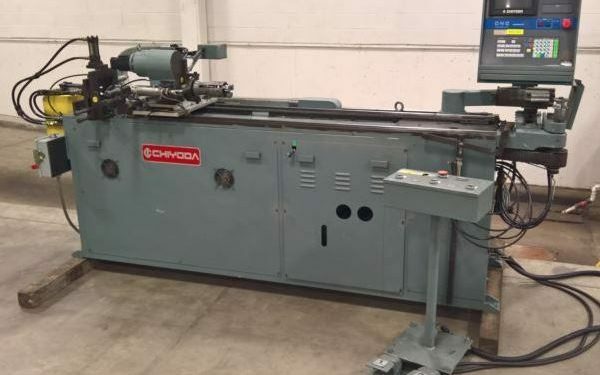 That being said, a pipe bender is an essential component of many tool rooms, and the level of investment you put into what type of machine you select can have a huge impact on production. For answers to your questions or more information on tube and pipe benders call Liberty at 847-276-2761 or send us an email sales@libertymachinery.com. Liberty Machinery buys and sells all types of tube and pipe benders. We are your trusted source for high quality benders and other used equipment. The most basic process involves the tube or pipe being clamped down between several dies, the movement of which creates a bend of the desired shape. The way in which these dies move determines the type of bender. 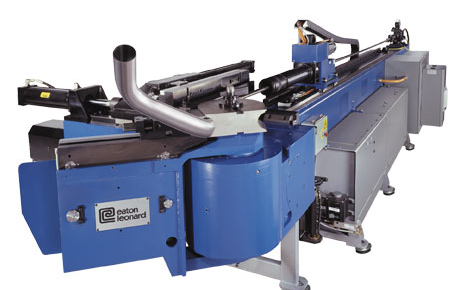 Rotary Draw Bending is especially used for precise work with tight radii. Most often the tube will be filled with a mandrel and balls in order to keep the tube from being deformed into an oval. One die clamps down onto the tube while the other two dies rotate up to a defined angle, bending the pipe. Compression Bending uses a stationary bend die and a clamp, with another moving die bending itself around the stationary die. This does not provide as much accuracy as rotary draw bending. Roll Bending involves three circular rolling dies, often arranged in a pyramid shape, all clamped down onto the pipe. One die moves and presses the tube against the other two dies. This can be used for bends over 180 degrees, and is often chosen to create circular pieces. Ram Bending is perhaps the oldest bending method. Here, the tube rests on two flat counter dies and a curved die sits above it on a ram. As the ram moves the die downward, the counter dies bend upwards with the motion of a closing book. While ram bending is very cheap, it is also the least controllable. Liberty is always looking for used tube and pipe benders to buy for inventory. Contact us and let us know what you have for sale. We’ll be happy to give you a free quote. 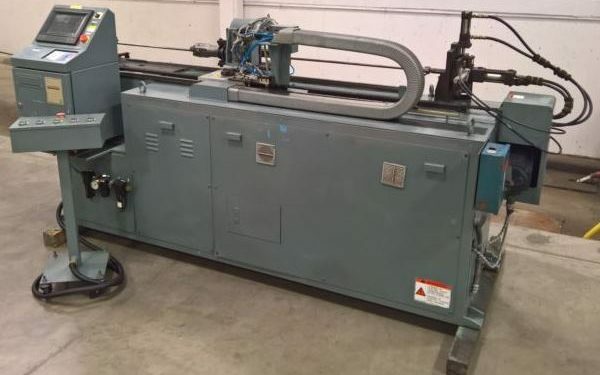 See our used pipe benders for sale. Danie Jacobs, "Tube and pipe basics: How to achieve the perfect bend," The Fabricator, 2014. http://www.thefabricator.com/article/tubepipefabrication/tube-and-pipe-basics-how-to-achieve-the-perfect-bend.